A new issue of Swords Voices has just been published, marking twenty-five years of this popular publication. 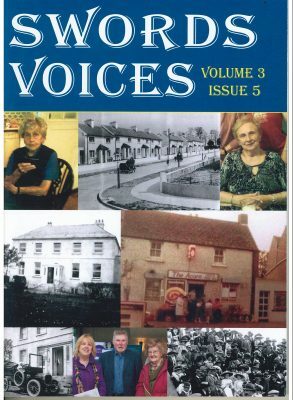 Edited by Bernadette Marks of the Swords Historical Society, it is packed with old photographs, stories of life in Swords, County Dublin, in days gone by, and much more. For details on how to purchase a copy, email swordsheritage@gmail.com. Back issues are also available upon request. 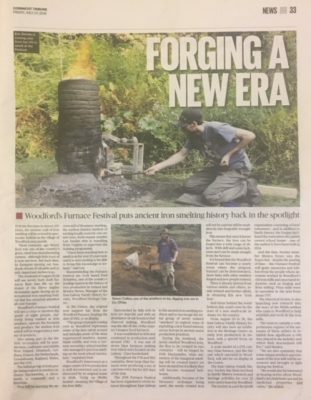 Well done to all at the East Galway Family History Society in Woodford, County Galway, Dr Paul Rondelez, Sliabh Aughty Furnace Project for reintroducing a lost craft of making bloomery iron using bog/iron ore and charcoal, the first time that this has happened in Ireland in almost 250 years. Making history also was Monica Hynes, Manager of the East Galway Family History Society, who became the first Irish female smelter in recorded history! 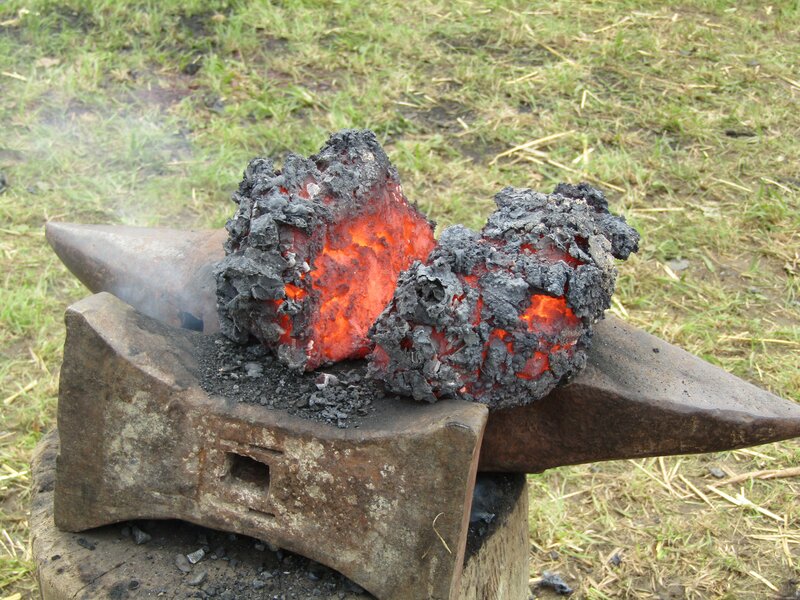 Woodford village and its smelting initiative was featured recently on the popular RTÉ programme, ‘Nationwide’, which you can watch at the link below. Researching Scots-Irish Ancestors – Now Available! 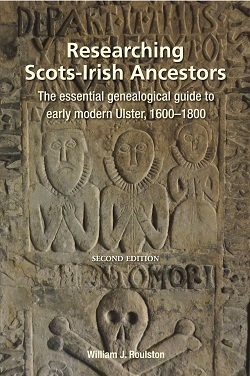 Ulster Historical Foundation is pleased to announce that the new edition of Researching Scots-Irish Ancestors is now in stock! Priced at just £19.99 (plus P&P) this new edition of Researching Scots-Irish Ancestors is a massively expanded version of the first volume, running to over 600 pages – more than double the length of the original. A new book by Brian Mitchell of our Derry Centre, Foyle Maritime Memories; Photographs from the Bigger and McDonald Collection 1927-1939, was published recently by Colourpoint Books. Through photographs taken by the Derry Standard newspaper, prior to the Second World War, this book explores Derry and Lough Foyle’s maritime history; the key themes being emigration, transatlantic tourism and the activities of the Londonderry Port and Harbour Commissioners – of its divers, dredger Hercules, graving dock, shipyard and launch T.F. Cooke. This book illustrates the vitality and importance of Derry’s north Atlantic outlook. It captures, for example, the arrival of General Balbo and his ‘Italian Transatlantic Air Armada’ of twenty-four seaplanes on the Foyle on Sunday 2 July 1933 on their way to Chicago’s World Fair. The year before, Derry had been the centre of another big trans-Atlantic news story that had captured the world’s imagination: the arrival of Amelia Earhart on Saturday 21st May 1932, the first women to fly the Atlantic solo, at Robert Gallagher’s farm at Ballyarnet. This event is captured in six pages of photographs. SPECIAL OFFER ON ANNUAL SUBSCRIPTIONS – 25% off for a limited time only! *Offer applies from 3 September 2018 to 12 midnight Irish time on 17 September 2018 only. Cannot be used in conjunction with any other offer. 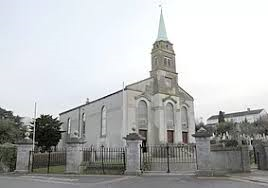 To search these records, go to dublinnorth.rootsireland.ie and select the ‘Parish / District’ from the drop down list. Login and Subscribe if required. 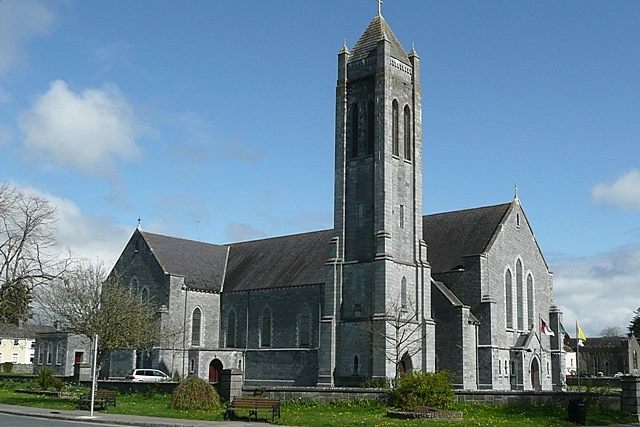 To search these records, go to eastgalway.rootsireland.ie and select the ‘Parish / District’ from the drop down list. Login and Subscribe if required. We are very pleased to announce the publication of the second issue of our new newsletter, entitled Irish Genealogy Matters. 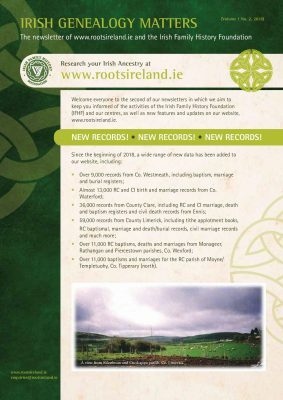 In it, we aim to keep our clients and friends abreast of all the latest updates to our website, www.rootsireland.ie, news from our member centres and other facts and information for all of those interested in Irish genealogy. Click on the link below to read our newsletter. We hope you enjoy! Kilkenny Book and Coin Fair will be held at the Clubhouse Hotel, Patrick Street, Kilkenny on Saturday 4th August 2018 from 10.30 am – 5.30 pm. Thousands of antiquarian, local history and general interest books, journals, maps, ephemera and rare coins. Donation to Carlow/Kilkenny Homecare Team.